Getting in a car accident can be scary, but many drivers are caught off guard from not collecting information, from failing to move to a safe area of the road, or various other reasons. It's extremely important to remember what you need to do after you get in a car accident. Here's a few things that each driver should do immediately after they get in an accident. Assess the area around you and evaluate if you need to move to a safer location. In a worse case scenario, your car won't be movable. If that's the case, make sure that you're out of harms way. It's important to make sure that the other driver is okay. If anyone needs medical attention, be sure to call an ambulance. If needed, you should report the accident to the police. They will help manage any traffic that accumulates, and they will be able to help with the process of collecting information. In addition, you should report the collision to your insurance company. Collect the other driver's insurance information, including their insurance policy number and their insurance agent. However, it's important to protect your identity and not let someone photograph your license or registration. Regardless of who's fault the accident was, it's important to remember to be courteous to the other driver. If it was their fault, it's best to remain polite and non-accusatory. Even it was your fault, do not admit to it. Your insurance company will go through the police report and any other pertinent information when determining who is to blame for the collision. Once you move to safety, call your insurance company and the police, and you've collected the other driver's information, it is a good idea to take pictures. 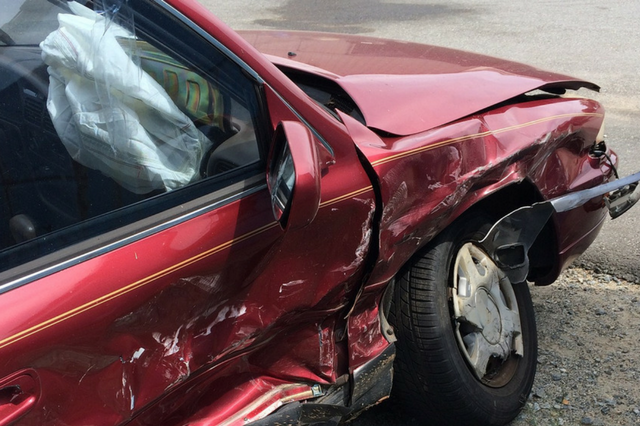 Take pictures of all damage on the cars involved in the accident and any property damage. Be sure to document any skidmarks, or other important details. Of course, if your vehicle is the only one damaged, and if there are no injuries sustained from the accident, it might be cheaper to cover the costs of the repairs out of your own pocket. If you report a small claim, your auto insurance might raise your premiums. We don't encourage every driver that was in an accident to seek legal representation, however, it may become necessary depending on the severity of the accident. If that is the case, be sure to do your research and contact a local attorney that is familiar with Colorado's traffic laws. As an added resource, we've included a checklist from an Indiana and Illinois based law firm. Our driver's education program is instructed by either retired or active police officers, and if you sign up your teen driver for a driver's education course at one of our Colorado driving institutes, they will be able to learn from their experience dealing with accidents and traffic collisions. Click here to register your teenage driver.